Heat Tracing Cable is an advanced system that is used to maintain or uplift the temperature of vessels and pipes. It’s a must to have a solution, as its outstanding features stand it apart. If you want to invest in it, get in touch with Sunrise Products. 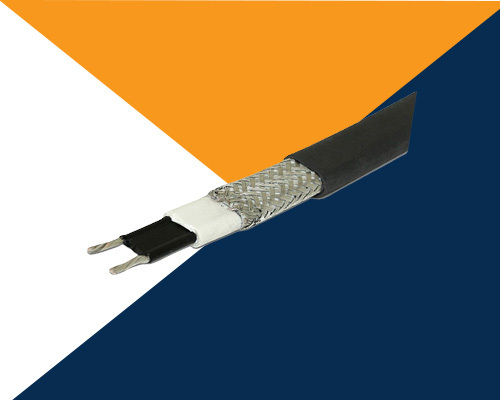 Being the most determined Heat Tracing Cable Manufacturers in Delhi, we use rough and ready material along with the modern technology to manufacture the complete range that gives the results you expected. Electrical Heat Tracing Cable has the automatic temperature controller and has many other advanced features. It is optional to steam trace heating where steam is unwanted. Additionally, it is very easy to use, require minimum upkeep and have an enduring life to deliver long-lasting results. Its price is very cost-effective and doesn’t make a hole in your wallet. This Heat Trace Cable is available in different sizes, thickness and lengths and their choice based on the need of your application. Being the foremost Heating Cables Suppliers and Exporters, we try our level amplest to present you the solution you want in optimum possible quality and reasonable possible price. We are your one-stop to reach for any of your heat tracing cable or industrial heater requirements.